Meet the IAP2 USA Trainers! John Godec is a course developer for both the IAP2 Certificate in Public Participation and the Emotion, Outrage and Public Participation course, and an original Master Trainer for IAP2. He’s currently on the International Board of Directors for IAP2. He’s managed nearly 400 complex global projects over a 30 year career and helped develop a risk and emergency communication protocol for the U.S. National Governors Association. John is also a roster member of the U.S. Institute for Environmental Conflict Resolution and is an IAF Certified Professional Facilitator. Wendy Green Lowe is a course developer for the IAP2 Certificate in Public Participation and an original Master Trainer for IAP2. She was formerly on the International Board of Directors for IAP2 and oversaw the international training program for the organization for four years. She has over 25 years of designing and implementing public participation programs for federal, state, and local governments for large and small projects. She specializes in facilitating collaborative processes for controversial public policy issues. She is also a roster member of the U.S. Institute for Environmental Conflict Resolution and a Certified Professional Facilitator. Mary Hamel is a course developer for the IAP2 Decision Makers course, the IAP2 Certificate in Public Participation, and the Emotion, Outrage and Public Participation course, and an original Master Trainer for IAP2. Mary has been an IAP2 member since 1995 and an IAP2 trainer since 2001. She is a past member of IAP2’s board of directors and a past international conference chair. Mary has spent more than 20 years as a full-time public participation practitioner and counsel within a state environmental and natural resources agency, working on large and small controversial projects. 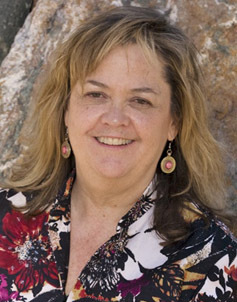 Penny Mabie has been licensed by IAP2 to deliver the Certificate Program since 2009. She has more than 20 years of experience in public involvement, facilitation, and training. As a public involvement consultant, Penny provides facilitation and public participation services to support environmental remediation decision processes, infrastructure siting and design, multi-jurisdictional task forces on flood control, recycling and transportation planning, and national climate change initiatives. She has been an associate with EnviroIssues since 2000. She is also a roster member with the U.S. Institute for Environmental Conflict Resolution. Stephani Roy McCallum is the Managing Director of Dialogue Partners Inc. in Canada. Stephani specializes in deliberative process on controversial and complex issues with high emotion, and has extensive experience creatively engaging the marginalized and hard to reach. She is a Certified Professional Facilitator with the IAF and was the 2008 President of the International Association for Public Participation (IAP2). She is a licensed trainer for IAP2 of the Certificate in Public Participation, an Assessor of new candidate trainers for IAP2, as well as lead developer and trainer of IAP2’s Emotion, Outrage & Public Participation program. In addition, Stephani regularly teaches, speaks and writes on advanced issues and innovations in the engagement field. Lewis Michaelson is a course developer for the IAP2 Certificate in Public Participation. Lewis is Past President of IAP2 and was instrumental in establishing principles and ethics for the practice. He has 25 years of experience in planning and implementing public participation programs in controversial situations that have built trust and credibility for both project proponents and regulatory agencies. The public participation intensity of these projects has ranged from environmental impact assessment consultation to collaborative, consensus-building for deeply controversial subjects. 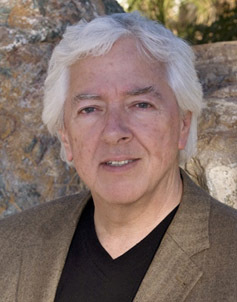 Dr. Marty Rozelle is a course developer for the IAP2 Certificate Program and an original Master Trainer for IAP2. She was a founder and Past-President of IAP2. She has more than 30 years of experience in the design and implementation of public participation programs for large and complex energy, water resource, regional planning, facility siting, and hazardous waste cleanup projects. Internationally, she has facilitated forums and training on public participation in Australia, Thailand, South Korea, Canada, Mexico, and Hungary. She is also a roster member of the U.S. Institute for Environmental Conflict Resolution. Doug Sarno is a course developer for the IAP2 Certificate Program and an original Master Trainer for IAP2. He has 25 years of experience in planning and implementing public participation programs and has written and spoken widely on public participation issues. Doug has designed and facilitated over ten national stakeholder forums, and has managed and facilitated well over a thousand public meetings and over a dozen long-term stakeholder advisory board. He has designed public participation training and guidance for seven federal agencies and three states. Internationally, he has facilitated forums and training on public participation in Australia, Thailand, Laos, the Democratic Republic of Georgia, South Africa, and Hungary.